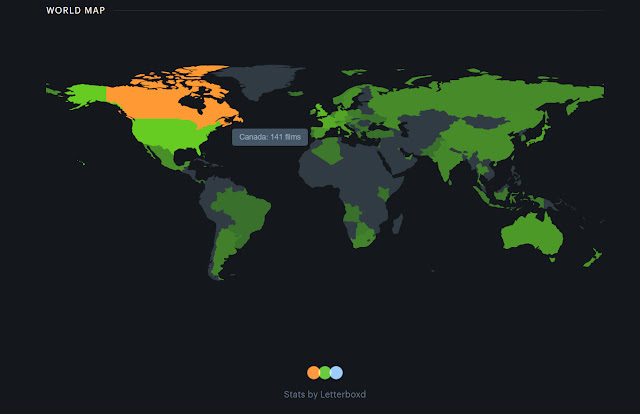 Here's the last of the stats Letterboxd Pro currently tracks - a world map that reveals how many films you've seen by country of production. Unfortunately, the map includes a whole bunch of Hollywood films that had elements of production taking place outside the USA, which makes it look like I've had a lot more exposure to world cinema than it would first appear. I have seen my fair share of legitimately British, Japanese, Indian, French and German films, but this map should be taken with a grain of salt.